Flat Commercial Roofing | Peddie Roofing & Waterproofing Ltd.
We are On Top of Commercial Roofing! 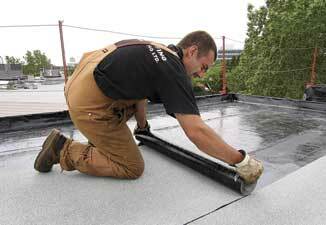 Peddie Roofing offers complete flat commercial roofing services. We service commercial structures, large industrial complexes, office towers, high rise residential buildings and condominiums.